Kim Jong-un arrived in Singapore on Sunday ahead of his historic summit with President Donald Trump. 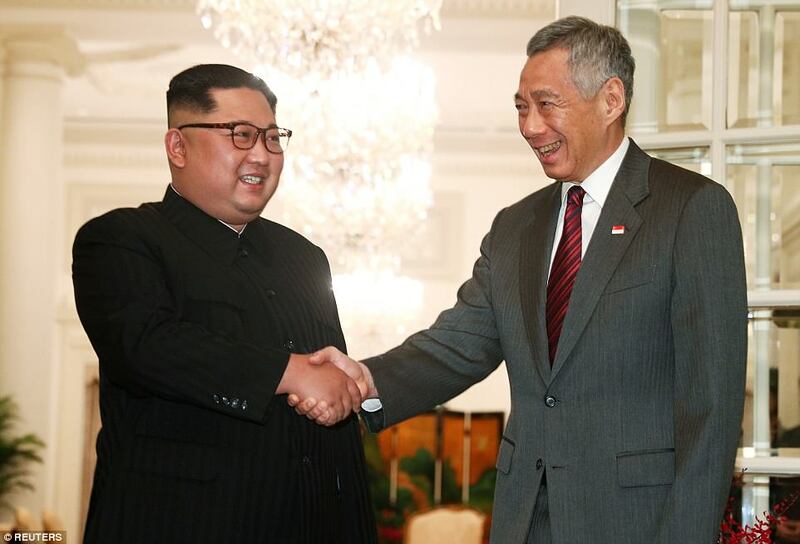 Kim arrived at Singapore’s Changi Airport on an Air China jet on Sunday afternoon, local time, after his longest trip overseas as head of state amid huge security precautions on the city-state island. Two decoy flights were also dispatched. He was driven into the city-state in a convoy of more than 20 vehicles, including an ambulance, with North Korean television cameramen filming his progress through the sunroofs. A large limousine with a North Korean flag was seen surrounded by other black vehicles with tinted windows as it sped through the city’s streets to the St. Regis Hotel, where China’s President Xi Jinping once stayed.